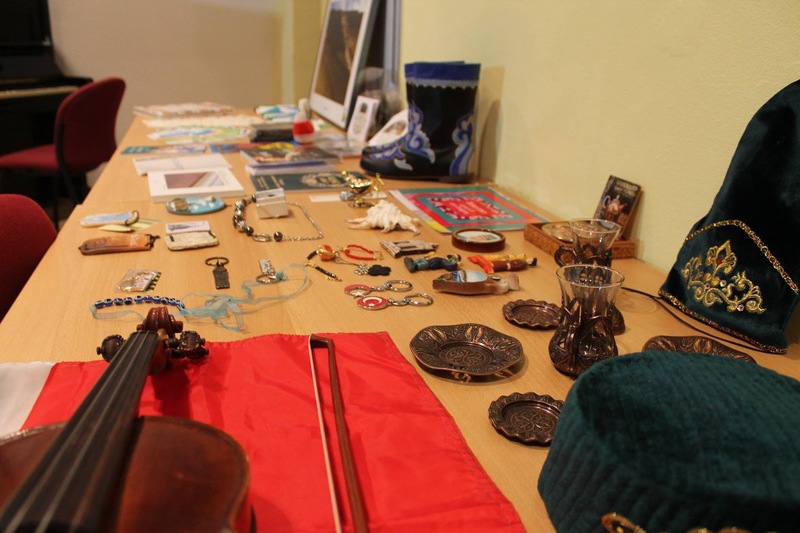 NGO KITAP - Tatar and Turkic Association in Prague. The word "KITAP" in Turkic languages means "a BOOK", which is symbolic - the culture and traditions of each nation - are as a new book to explore. 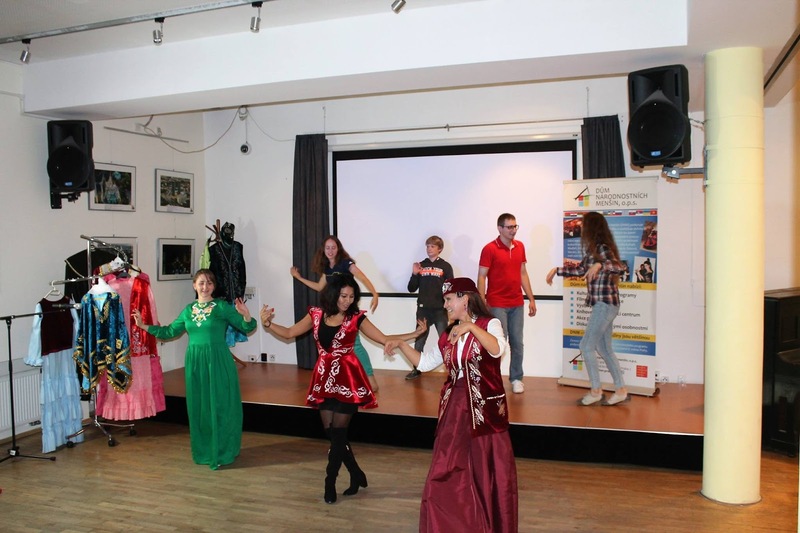 One of the goals of our Association KITAP is to show and promote our culture, to inform interested people about our traditions and identity, which we do since year 2013, by organizing different cultural events. Tomáš Boukal is a “wild card” of the event. 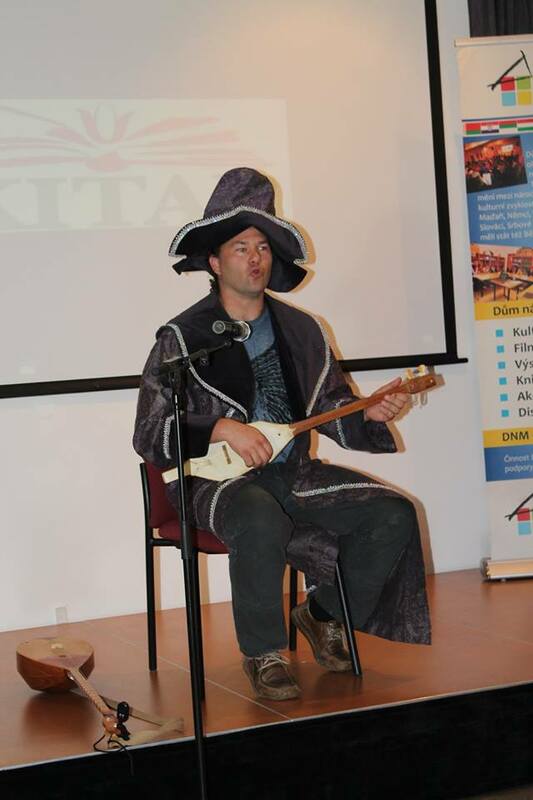 Would you expect from a Czech professor of anthropology and ethnology to sing Turkic songs and play traditional Altai instruments? 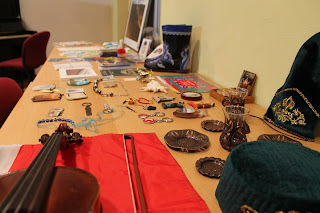 Tomáš is researching the indigenous people of Russia, especially those living in Siberia. 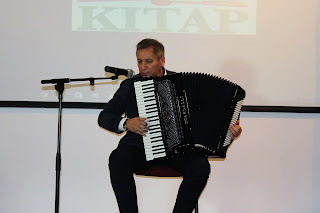 He spent several years of his research life in Altai region, he performed traditional Turkic songs, which you can also find: on the page of his band Kanum. http://bandzone.cz/kanum. 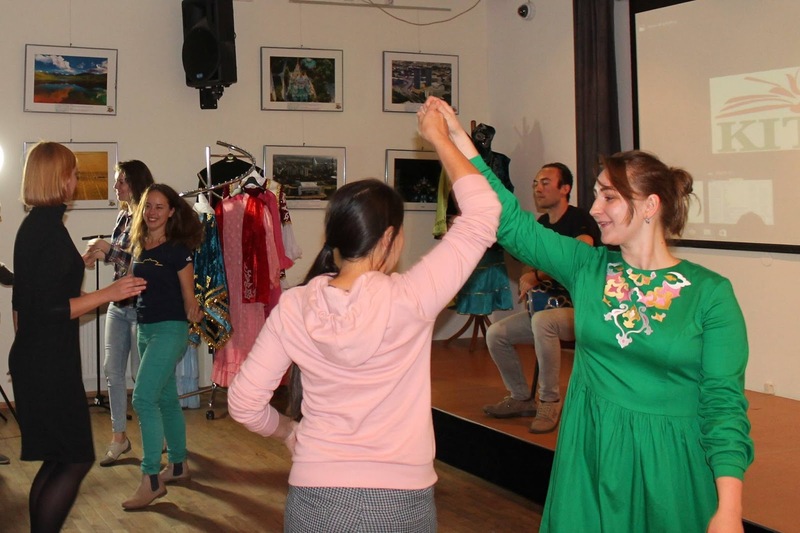 Lilia Gerber-Khousnutdinova & Elmira Lyapina, together with Dania Altynbaeva-Lyapina, chairpersons of the NGO – KITAP, Tatar and Turkic Association in Prague, are spreading and promoting Tatar and Turkic culture in the Czech Republic. 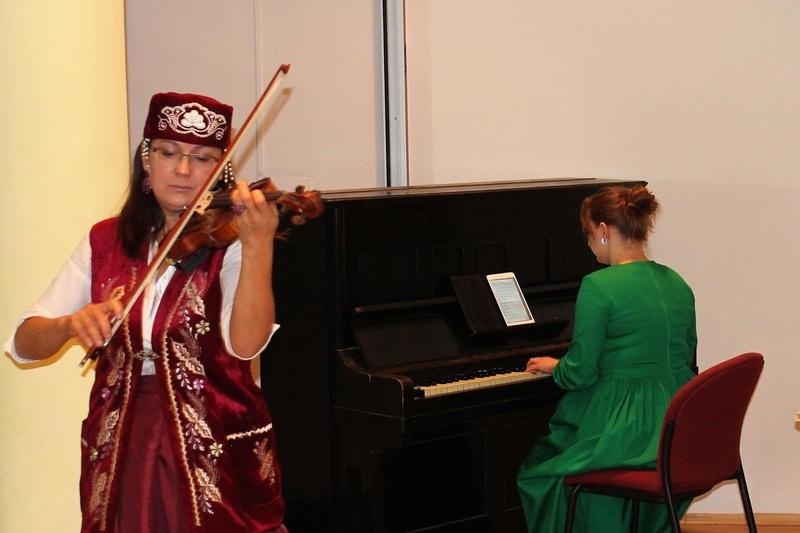 Lilia and Elmira performed traditional Tatar songs. Server Abkerimov is reasonably called “the Golden Accordion”, his mastery is worldly known. His virtuosic and heartfelt play made to applaud the audiences from different parts of the planet, in small European churches, as well as in huge Tokio Opera and Osaka Symphony Hall in Japan. 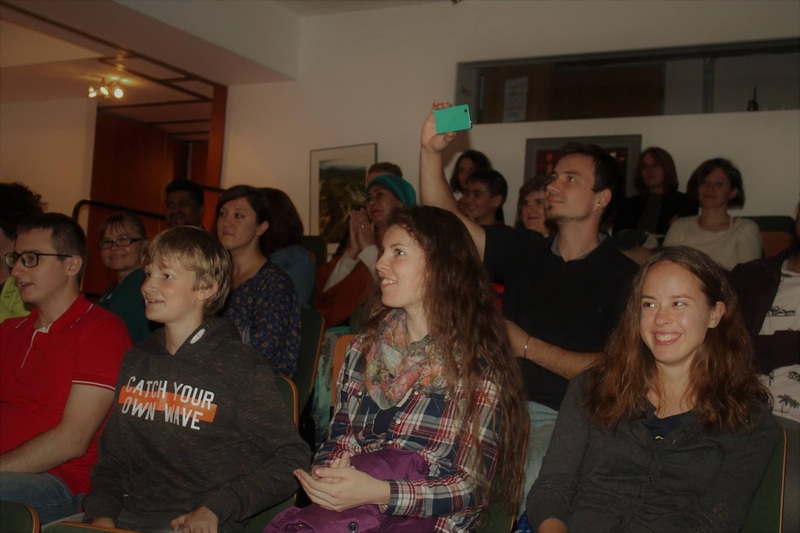 The artist shows very impressive and original performances, attracting a lot of (his talent) admirers. He played his own compositions based on traditional Crimean Tatar motives. Gulsara Bekbagysheva, is a professional dancer with academic education in the dance field. 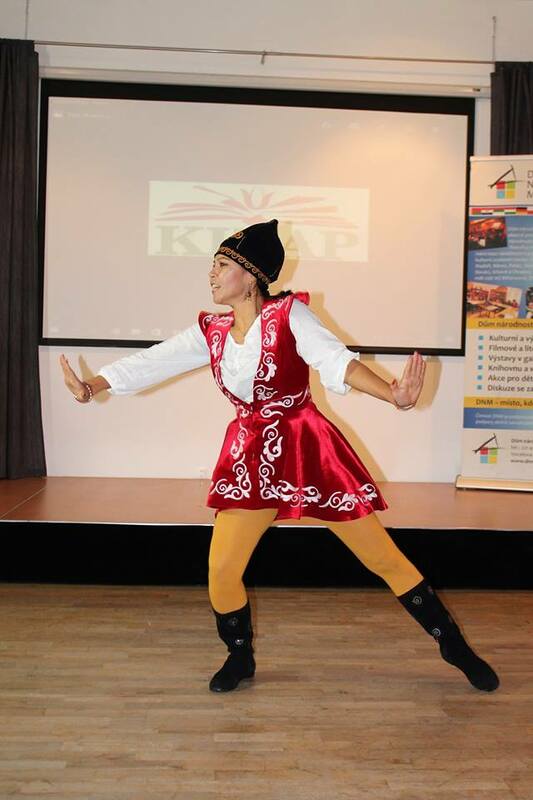 Gulsara is a member of the Central Asian Ensemble Jagalmay, which is performing in the Czech Republic since 2006. Gulsara is regularly participating in the international festivals, as International Folklore Festival Prague – heart of nations, or Chinese New Year with Fen Jun Song, or Refufest. 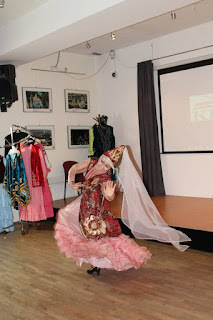 She performed traditional Kyrgyz Dances. 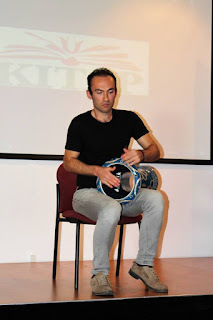 Atman is an authentic Darbuka player from Turkey. He learned the split finger technique back at home from the source and developed the technique by crossing Europe, Asia and Australia. Rhythm is a spiritual path for Atman. Now he is inviting you to join him to discover the rhythmic realm. Concert was moderated by Dania Altynbaeva-Lyapina.